As Swami Satchidananda’s students moved into Integral Yoga Institutes® and experienced the benefits of living together as a community, they expressed the desire to create ashrams, where larger numbers of students could live and work together in a healthy, rural environment, following yogic guidelines. The first Satchidananda Ashram—Yogaville® opened in California in April 1972 and then a second opened in Connecticut a year later. In time, the community needed more room than either Ashram could provide. In 1979 a new property, consisting of nearly 1000 acres, was purchased in central Virginia on the James River. The Blue Ridge Mountains provided the perfect backdrop, and the expansive property offered the ideal setting for the new Ashram, which was called Satchidananda Ashram—Yogaville, Virginia (SAYVA). Sri Gurudev founded Yogaville to provide an optimal environment where people could come to study, and live according to, the principles of Integral Yoga. Now, more than 25 years later, that Yoga village continues to grow, still nurtured by Swami Satchidananda’s vibrant and enduring spirit. Yogaville is a dynamic community where people of all ages and backgrounds can come together in the name of Yoga. 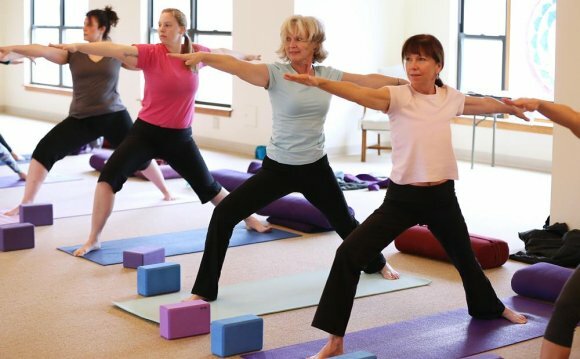 In addition to the more than 2, 000 guests and program participants who visit each year, 150 residents make Yogaville their home. There is a monastery for the monastics, as well as dormitories for guests and single residents. With Yoga seminars and workshops running each weekend, along with certified Yoga Teacher Training programs, a large residential Yoga community surrounds the Ashram. Facilities in Yogaville include: a school, organic garden and orchard, auto repair and other workshops, photo department, Shakticom (audio/video production department), archives, Integral Yoga Publications, Integral Yoga Distribution, graphic design department, Fine Arts Society, Lotus Conference Center, affiliated credit union, and more. Three shrines at Yogaville—the Light Of Truth Universal Shine (LOTUS), Kailash, and Chidambaram—are often referred to as the heart of Yogaville. But, in truth, there is no particular structure that can hold that special honor. The heart of Yogaville will always be the expansive teachings and presence of Swami Satchidananda.